Online registration requires a credit card or bank account information & email address. Registration fee and first month's tuition will be posted & charged to your account on file once your registration has been received. You will then be notified by email of the receipt & charges. If you have questions before registering, please call 757-361-9400. To my knowledge, there is no medical reason why I / my child should not participate in this program. 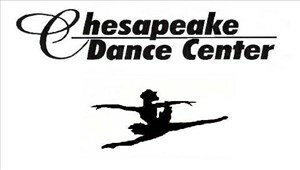 My child / I will participate at his/her own risk, and I shall not hold Chesapeake Dance Center, or any of their employees or agents responsible for any loss, claim, or injury as a result of his/her/my participation in this program. I give permission to Chesapeake Dance Center to print my / my child's photograph / likeness for local advertising purposes in media such as, but not limited to, The Virginian Pilot, website, and direct mail sources. I understand that Summer tuition will be posted & charged to my account on file once my registration has been received. I understand that summer tuition is not refundable after June 30th, as we are reserving a space for your child in the class. I hereby authorize Chesapeake Dance Center to charge my credit card or bank account on file for my outstanding balance on the 30th of each month. Fees will be applied to my account according to the fee schedule listed below. Annual Registration Fee: $30.00 per student or $50.00 per family is due upon initial registration and then again September first each school year thereafter. (non-refundable) The registration period is for the entire school year up to and including the June recital. Monthly Tuition is due the 30th day of each month August 30th - May 30th. Classes are held September through June. Tuition is an annual fee, and for your convenience, it is divided into ten equal installments that will remain the same regardless of the number of classes each month. Please note that statements are not issued unless the account is past due or there is a discrepancy in the amount owed. There is no reduction for classes missed. You may take a makeup class within four weeks of the missed class. There will be no makeup classes during May and June, since classes at this time are rehearsals for the upcoming performances. All accounts must be paid in full prior to participation in the end of the year performance. Tuition is non-refundable. Payments - The preferred method of payment for monthly tuition is through auto-debit of a checking account. Please submit a voided check for this option. Debit cards are not recommended. VISA, Mastercard, & Discover credit cards are also an option. Online registration for our school year classes will automatically enroll you into our automatic payment system. Your account on file will be charged for your registration fee and first month's tuition at the time of registration. Accounts on file will then automatically be charged for your outstanding balance on the 30th of each month. This is the most convenient, efficient, and secure payment method and will allow our staff to provide you with the highest quality of dance education. If you do not wish to participate in automatic payments, you may submit payments in person at the studio in the form of cash, check made payable to Chesapeake Dance Center, or Visa, Mastercard or Discover. All accounts must be paid in full prior to participation in the end of the year performance. All fees are nonrefundable. Late payments - A $10.00 fee will be added to all accounts not paid by the 5th of the month. If the account is more than 30 days past due, the student will be dropped from the rolls if there is a waiting list for the class. Late fees will accrue monthly on all outstanding account balances. In order to re-enroll, a new registration fee will be required along with payment of all outstanding fees. Delinquent Accounts - If the account is 60 days past due, the remainder of the year's tuition will be charged to your account and become immediately due and payable. Delinquent accounts may be turned over for collection, in which case the account holder will be responsible for all outstanding payments, along with all related costs of collections, including attorney's fees and court filing fees. Costume fees - A deposit of $50.00 per costume is due with the September 30th tuition payment. The balance will be due with the November 30th tuition payment. Prices generally range from about $85.00 to $100.00. Late payments of costume fees will result in additional shipping charges of approximately $5.00 - $15.00 per costume depending on the individual costume companies. All costume fees are non-refundable and once ordered must be paid in full. Late fees will accrue on outstanding past due balances. Recital fee - $40.00 per family is due on October 30th. This will go towards the non-refundable deposit on the theatre. Recital - Our annual recital will be held in June. Exact dates and location will be announced in November. In order to participate in the performance, all students must attend the mandatory dress rehearsal - absolutely NO EXCEPTIONS. Your child's safety is our concern. Each family participating in the recital will receive two complimentary tickets. Additional tickets will go on sale approximately three weeks before the recital. Videotapes - Our June recital will be videotaped by a professional videographer. Order forms will be available in May. There will be no other video cameras allowed in the auditorium during the recital. If you would like to videotape dress rehearsal, you may do so. All videos (classroom & stage) are for your personal use only and may not be posted online. Also, for the safety of our dancers, there will be no flash photography allowed at any performance or dress rehearsal. Pictures - Group and individual pictures will be taken at the dance studio by a professional photographer before the recital. Attendance is mandatory. Purchase is optional. Payment should be made directly to the photographer on picture day. Regular attendance is expected. Absences affect not only the progress of the absent student, but that of the entire class as well. Teamwork is a vital part of dance training. Dancers count on each other for spatial cues, timing, and as partners. Excessive absences may result in the student not being allowed to participate in the performance. If this happens, no refunds will be given. If you are ill or have a family emergency and will be unable to attend class, please call 361-9400 and leave a message. Students should arrive at least five minutes prior to the start of class and be picked up immediately afterward. In the event a parent is late picking up, the student should remain in the classroom until the parent arrives. Please make sure your child uses the bathroom before class in order to minimize interruptions during classtime. Unattended siblings & friends should not be left at the studio while your dancer is in class. Our staff cannot be responsible for them. Makeup classes - In the event a student is absent from class, he/she may take a makeup class within four weeks of the missed class. There will be no makeup classes during May and June, since classes at this time are rehearsals for the upcoming performances. One month's written notice from the first of the month must be given for all students withdrawing from the program. If written notice is received after the 7th, you will be responsible for the following month's full tuition. If you decide to re-enroll during the same school year, an additional registration fee will be required. Withdrawals received after November 30, 2018 will be responsible for the remainder of the year's tuition which will become immediately due and payable. Withdrawals will not be accepted by email or over the telephone. To withdraw from classes, a parent or adult student must complete and sign a withdrawal form provided by the school. The final billing statement will be sent once the withdrawal form has been received. All female students should have a black leotard. Creative Dance, Pre-ballet and Ballet students should wear pink tights and pink ballet shoes. Jazz, tap, and hip hop students should wear either pink tights, black capri pants or jazz pants(no bare legs) and the appropriate tan jazz boots, black tap shoes or dance sneakers for hip hop. Buckle taps are preferred over ribbons for our beginning tap students. Our more advanced tap students should have oxfords. No rough or sharp edges on tap shoes. Hair should be pulled back out of the face and secured neatly in a pony tail or bun. Please note, a classical style bun will be required for all ballerinas for pictures and recital. This means no bangs, braids, wisps or tendrils. Male students should wear a white t-shirt, warmup pants and the appropriate black ballet, jazz, or tap shoes. No jeans, no bare midriffs and no bare legs are allowed. No jewelry. Street shoes may not be worn in the studio, and dance shoes may not be worn outside on the street. Please change your shoes before and after class. Also, leotards and tights are not appropriate street attire. Please wear a cover-up over your practicewear. Street Shoes - Street shoes will not be allowed on the studio floor. Please remove all street shoes before entering the studio. Our studio floor is a huge investment, and this rule will be enforced in order to protect that investment. Periodic shoe checks will be made during your child's class. Shoes that show signs of being worn outside will need to be replaced. Tap shoes with rough edges or loose or protruding nails or screws will need to be repaired or replaced. Thank you for helping to protect our investment. There will be no food, chewing gum, or drinks allowed in the studio. There is a water cooler in the lobby for your convenience. Closings due to inclement weather are not always in conjunction with school closings. Please call 361-9400 if in doubt. We will also try to send an email, and / or post a notice on the studio Facebook page.